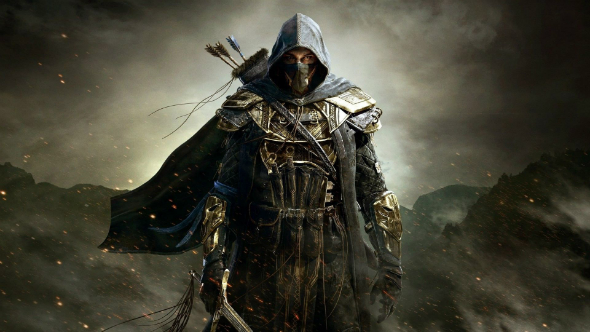 One of the most anticipated games of 2014 has just hit PC and Mac, and its publisher - Bethesda company - has already announced first The Elder Scrolls Online DLC, which is going to be released later this month. According to the Bethesda team, first The Elder Scrolls Online DLC will be titled Craglorn and will present to this MMORPG’s fans a broad adventure zone with the new plot and content, developed specially for the veteran players. Besides that, fresh The Elder Scrolls Online DLC will add to the game the 4-player quests and the challenges for the teams with 12 members. The project’s creative director - Paul Sage - has revealed some details about this first add-on. Thus, it has become known that after finishing the different challenges, the players will face some new monsters and their bosses, which have the unique fighting tactics that the users have never seen in the game before. This MMORPG will also include the timer and the limited amount of resurrections. Let us remind you that the next-gen versions of the game will be launched in June 2014.